Listen to our interview with English Professor Anne Curzan. We commonly use the pronouns “he” and “she” to refer to someone, but what if that person doesn’t identify as male or female? The Washington Post recently gave a green light to using “they” as a singular pronoun. 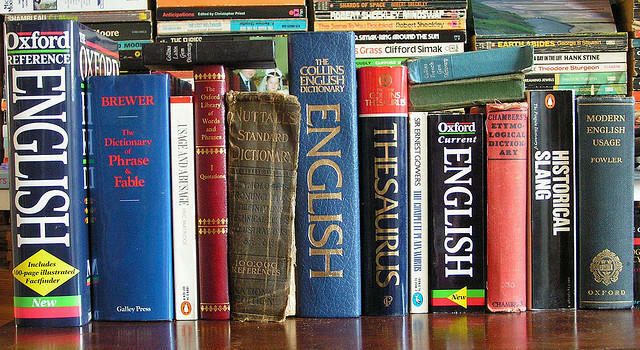 The gender-neutral title “Mx,” pronounced “mix,” is making its way into dictionaries. The issue of generic pronouns may be fresh in our minds, but according Anne Curzan, University of Michigan English professor, it’s one that’s been on the table for a while. She tells us that the use of “he” as a generic pronoun has been encouraged for a long time, dating all the way back to 18th century grammar texts. “What they were doing was saying, don’t use ‘they’ as a singular, use ‘he,’ which would indicate that lots of people were already using ‘they’ as a singular and these grammar books were correcting them,” she says. In fact, Curzan says there have been proposals for artificial pronouns like “Ze” and “Hir” that go back to at least the late 19th century. “It's already the pronoun of choice in the spoken language. It’s already happened ... we have been using ‘they’ as singular generic for hundreds and hundreds of years." Anne Curzan tells us more about gender-neutral language in our conversation above. It’s nearly the end of the year, and we’re seeing all sorts of end-of-the-year lists, including Word of the Year. Anne Curzan is an English professor at the University of Michigan and co-host of That’s What They Say, and she joins us today to go over some of the words in the running for Word of the Year. The emoji is more than just an emoticon on digital steroids. This week on That’s What They Say, host Rina Miller and University of Michigan English Professor Anne Curzan take a closer look at emojis and their use in the digital age. “Emoji or emojis are those little images or icons that you can use while texting or emailing. It includes smiley faces, but also pictures of cars and bells and things like that. So it’s a much richer set of symbols than the emoticons that I think many of us are familiar with” says Curzan. According to Curzan, Emojis first show up in the late 1990s in Japan, but they quickly moved to the U.S. and eventually the word gets incorporated into English, and in 2013, the Oxford English dictionary chose to include emoji. People are using emojis to communicate, and Curzan cites their simplicity and the tendency of people to be both playful and creative while using emojis. What are your favorite emojis to use while texting? Let us know by leaving a comment below! That's what they say, you know? These phrases are often viewed as meaningless, but on this week’s edition of “That’s What They Say,” Professor of English at the University of Michigan Anne Curzan explains how these harmless phrases are actually doing more in speech than you may think. How do you pronounce "a" and "the?" Have you noticed that there are two pronunciations for the articles “a” (“uh and “ay”) and “the” (thuh and thee)? Do you pronounce the word “often” with or without the “t”? In this Stateside interview we explore pronunciation issues with Anne Curzan, University of Michigan English professor and co-host of That's What They Say along with Rina Miller here on Michigan Radio.